- Contains pure 90% of tea tree extract. - Contains trehalose to prevent skin dryness and dehydration. - Soft touch without stickiness. - Safe to use for sensitive skin. - Makes dull skin to be clear and confident. 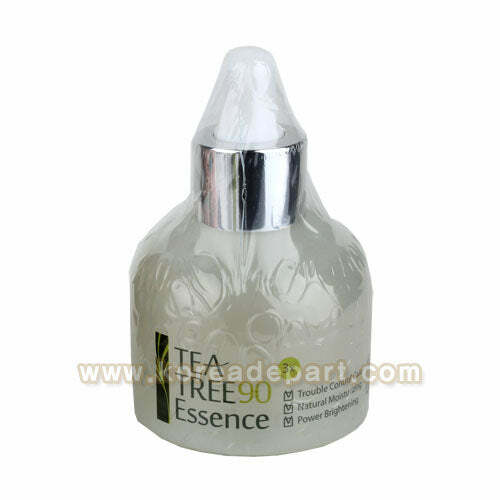 - Drop a moderate amount of Tea Tree 90 Essence with a pipette and apply all over face evenly. ◆ 3 seconds after cleansing! 3 kinds of natural ingredients permeate into skin deeply! Dramatic effect after 3 days.